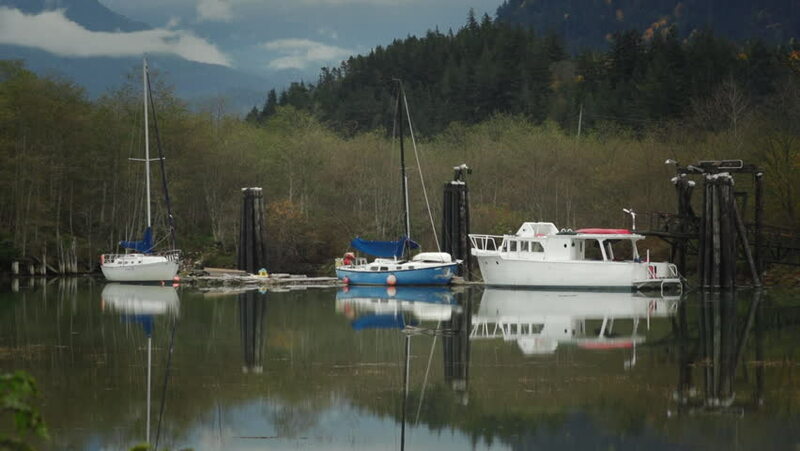 Two sailboats and a wooden cabin cruiser are moored to old wooden docks, surrounded by trees and distant mountains. They're reflected in the calm waters of an inlet near Squamish, British Columbia. hd00:18A slow motion shot of docked white different boats in a pier. hd00:30NELSONS DOCK, ANTIGUA - JAN 2014: Luxury expensive private yacht sailboats in protective port. Cultural heritage site part of a National Park. Famous British Admiral Horatio Nelson lived here in 1784.